The following is a plaque donated by Mr. and Mrs. Marshall Cox in John's behalf. This plaque and bench are found at The Living Desert in Palm Desert, California in a children's area called Gecko Gulch. John has also been honored by The Kissinger Family. Collen Kissinger has sponsored 20 cats in John's name. The organization is www.bestfriends.org. 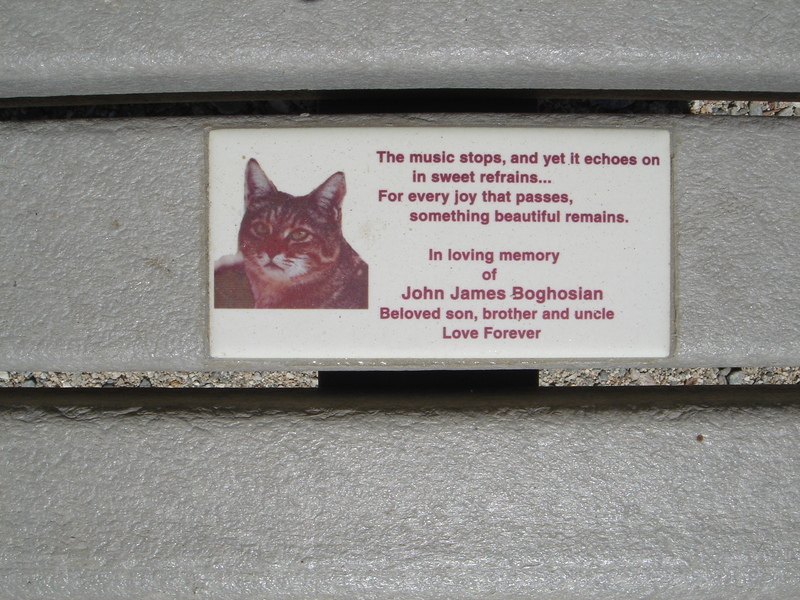 John's memorial can be viewed at: http://www.bestfriends.org/theanimals/angelsrestmemorials/1205_2.cfm.